The Nintendo Switch Pro Controller is one of those gaming accessories that just commands respect. For anyone who uses it regularly, it gets the respect it deserves and picks up new fans every day. Now, if you don’t own one already, it’s your chance to grab it for one of the lowest prices that we’ve seen at just $56.54. If you are an avid Nintendo Switch fan and someone who knows everything about that console then you will already be well familiar with the Switch Pro Controller and what it can do for you and your gaming efforts. When you look at the product on Amazon, it has over 2,000 real customer reviews from those who have purchased and regularly use the controller and it’s sitting at close to being a 5-star product. That tells you everything that you need to know. 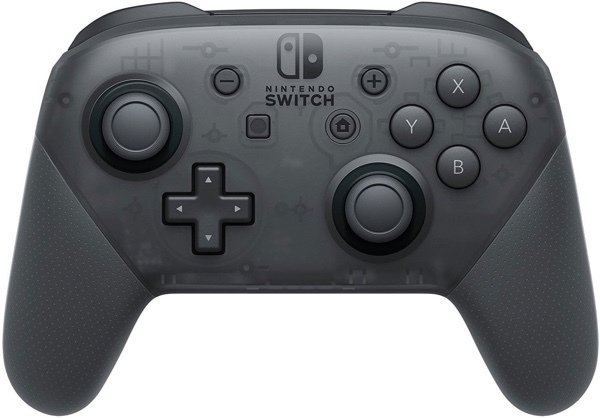 One of the first things that you are going to notice is that the Pro Controller looks gorgeous. It doesn’t try and do anything fancy or exotic. In fact, the design is very understated and doesn’t necessarily stand out in a crowd with its black aesthetic but the important part here is that it has been designed to be used on a day-out-day-in basis, which means that it is perfectly poised and balanced to handle your marathon gaming sessions. It contains pretty much everything that you need to accelerate your gaming. It has motion control functionality for games that support it. It has HD rumble feedback, built-in amiibo functionality, and much more to ensure that your gaming is on point. It also comes with a very performant battery pack that has been shown to offer an extremely pleasing life. Gamers are often frustrated when a controller gives up the will to live during a session but that hopefully won’t be an issue with the Nintendo Switch Pro Controller. You could be an experienced Nintendo Switch owner. You could be someone planning on getting the hardware. Or, you could be someone who is planning the perfect gift for a loved one who is hardware Switch fan. Whatever your category, you need to grab this right now at this price.